A life-threatening incident of allergy to an infusion has lead a Shanghai doctor to criticise parents and grandparents for insisting their children have unnecessary infusions to treat minor illnesses with fever. A 12-year old boy with fever treated at the Ruijin Hospital nearly died after having a massive allergic reaction to an infusion he was being given for a fever. The boy recovered thanks to the rapid response of medical staff, but doctors said they faced huge pressure from parents to give infusions when they were not needed. Doctors said parents had an almost superstitious belief in infusions and insisted on them to help their children get better quicker so they would have more time to study. 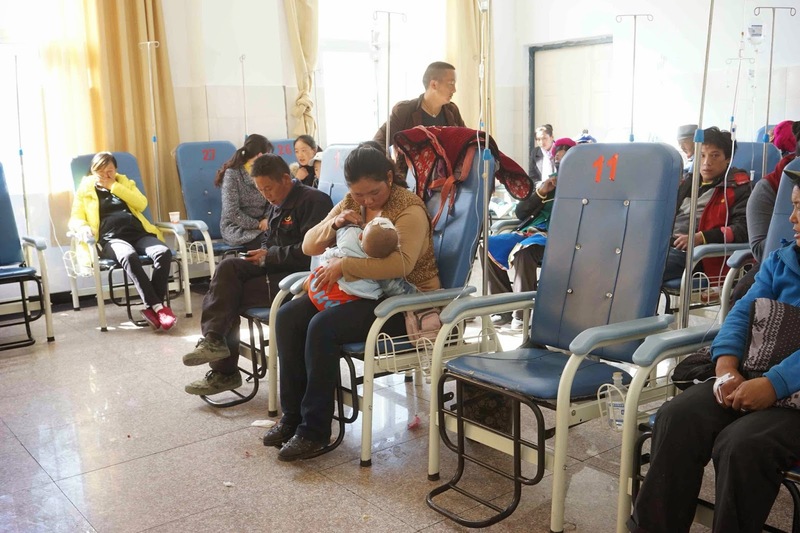 Millions of rural migrants may get access to affordable healthcare as China modifies its household registration (hukou) system to give more right to the floating population. In a major shift in policy, reforms to the residence permit system will grant migrants the same access as urban residents to public services such as medical treatment for their children. The plan, which has been released for consultation by by the Legislative Affairs Office of the State Council, would allow migrant workers who stay in a city for half a year with a stable job and residence may apply for the residence permits. People living near the Yellow River are being poisoned by eating crops containing high levels of heavy metals absorbed from irrigation water drawn from the river, a study shows. Wheat grown in areas around Baotou irrigated by Yellow River water showed high levels of mercury, lead and selenium, researchers from the Inner Mongolia University of Science and Technology showed. Crops also contained high levels of copper, zinc and manganese, they found.